We are not new to Kerala food, infact I must say that its almost like our home food. Amma always has the pure cooking coconut oil with her as well. I don’t use much as Hubby dear is not very fond of the oil. However I know he loves the dishes minus the oil. So decided I would cook with regular one. I also had some dietary restrictions that I had to follow and that meant I include dishes that can be eaten by all. I decided on my menu based on what could be feasible with the given time frame. Initially I was looking at making some 5 – 6 dishes. Finally I ended up making about 10 dishes. Since I had some of the Sadya dishes already done, I didn’t pick them up. Soak Ponni Rice separately for those who don’t’ eat Chemba Rice. Take 2 and 1/2 cup of grated Coconut and grind it along with 10 – 12 green chilies with 2 tsp of Cumin. Grind to an almost smooth paste without adding water. Chop Drumstick and Potato, MW each for 5 – 7 mins. Chemba Rice takes a long time to soak, so soak this the beginning itself. You will have to wash it nearly some 6 -7 times, till you get a clear water. Rice is cooked by draining method and not absorption method, so bring a big pot of water to boil. I soaked it for nearly 40 – 45 mins. Then in a big Pressure cooker, I cooked the rice. This is a very good and helpful post for beginners like us..really it shall help. I remember when I made the Sadya, I took help from Rajani and my daughter Barkha, who was versed with South cuisine. 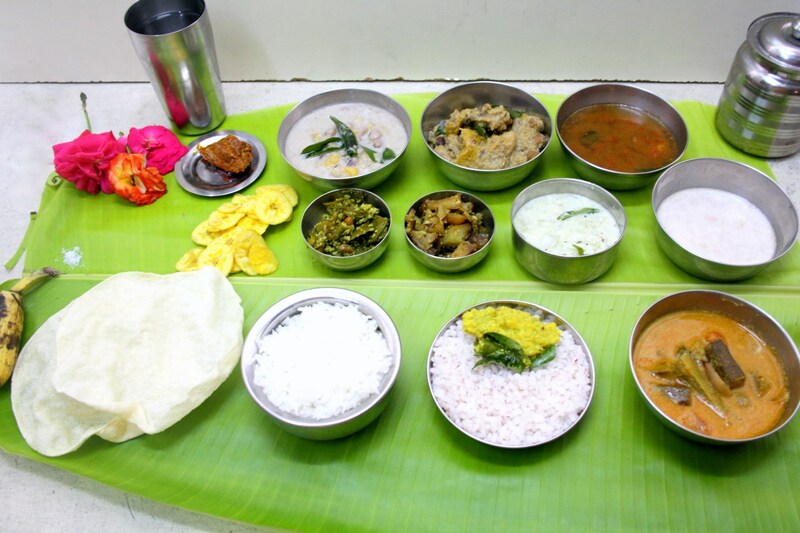 yes Kerala food is so much similar to what we make… very authentic and very delicious.. Very useful post if planning an elaborate meal. Though this is for sadya, similar steps can be taken to cook any big meal. Wow Valli. That is a marathon of cooking you've done for a thali. I can't even imagine doings this cooking in one day. Kudos to your efforts. Valli reading your post itself is making me dizzy. How on earth did you manage. Must appreciate your dedication to making the thali and must appreciate the help you get. I am coming back to read your post later. Its needs concentration which I lack now. Wonderful post. 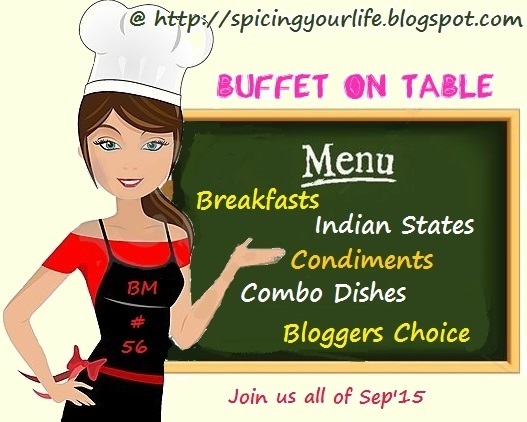 Anyone who is new to cooking will surely find this post very helpful..
That is a detailed post Srivalli! 10 dishes in a go is really a feat for me!Hats off to your efforts..